I previously posted the hardware– and social-related announcements at Oculus Connect 3. Now here are the announcements relating to software and to mobile. Oculus is investing $500 million in software development for VR. This dwarfs HTC’s $100 million VR Fund and Vive X accelerator for the Vive. Oculus will give developers free licenses to the Unreal engine for up to the first $5 million of revenue. Arktika 1 a sci-fi shooter by 4A Games. 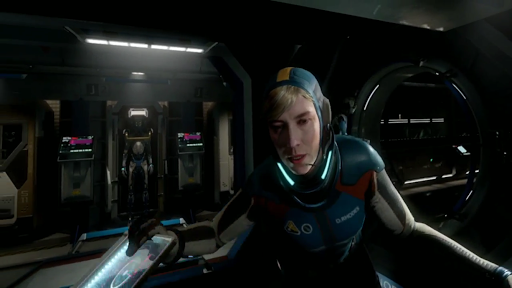 Lone Echo, a sci-fi adventure by Ready at Dawn Studios that can be played in single player or multiplayer. Epic Games’ Robo Recall, a first person shooter. FREE for Oculus Touch. With the announcement of Google Daydream, Oculus wanted to reassure developers that Samsung Gear VR would remain the premiere mobile VR platform. Oculus said that Samsung is the most successful Android manufacturer and is “deeply committed” to Gear VR. It would have been nice if Facebook had invited a Samsung rep on stage to affirm that. Oculus announced that they would add livestreaming capability to Gear VR. Users will be able to livestream their gameplay to Facebook. It is not yet known whether the livestreaming capability will be available for third party streaming platforms such as Twitch. I also don’t know if this means that the screen recording function of the Gear VR will be upgraded to include audio (currently, it is silent). According to Oculus, there are two types of users: active users who use the Gear VR primarily for games, and users who prefer to use the Gear VR to watch videos. Oculus revealed that there are an approximately equal number of users on both sides, which they interpreted to mean that developers will have a market regardless of what kind of app they develop. Oculus will host videos for streaming to apps. This will enable developers to reduce the size of their apps while still using high resolution videos. Microsoft recently announced that the Xbox controller would be modified to add Bluetooth support for the Gear VR. For 2016, Oculus is investing $50 million for mobile software development. Oculus showed a few new games for the Gear VR, such as Dragon Front, a collectible card game in VR (previously available only for Oculus Rift), and Sing Space, a multiplayer karaoke game that will let you and your friends sing together in VR wherever they are.